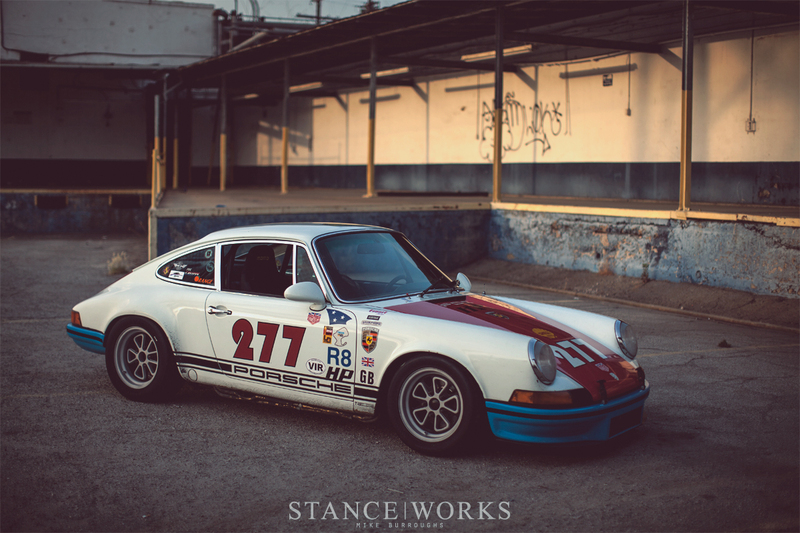 StanceWorks - Magnus Walker's 1971 Porsche 911 "277"
We pulled off of Santa Fe Avenue on the East side of Los Angeles. 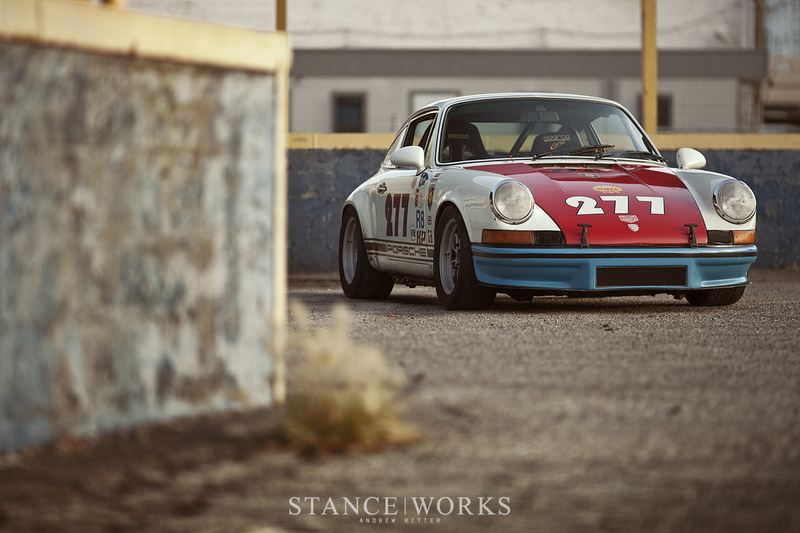 Andrew, Magnus Walker, and I were out shooting once again, making use of the messy and tattered urban terrain. It was a familiar scene, making for a casual shoot with a man who has, in just the past couple of years, sky-rocketed into the automotive stratosphere. Passersby recognized the car on more than one occasion throughout the evening, stopping to ask questions and gather content for their Instagram feeds. With a balance of synonymity, Magnus and "The 277" have seemingly become one - the 277 representing his most identifiable and characteristic creation to date. Our hour spent against the dilapidated warehouse was an experience that offered a chance to learn about more than just the roots of Magnus's passion for the Porsche brand. 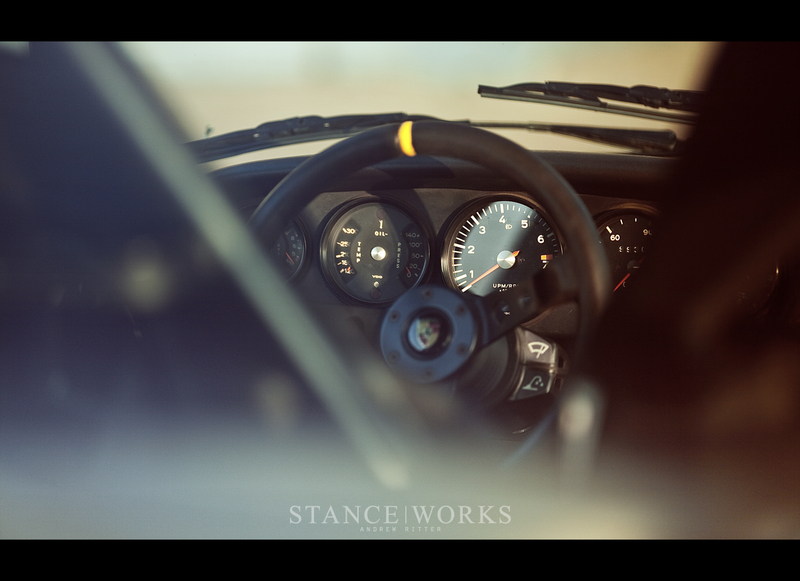 Few men reach the level of bond, attachment, and appreciation for their cars that Magnus shares with the 277, and it is exemplified by the way he tells its story. "Some cars go, and others say," Magnus says, "but I've been thinking about trying to track it down." 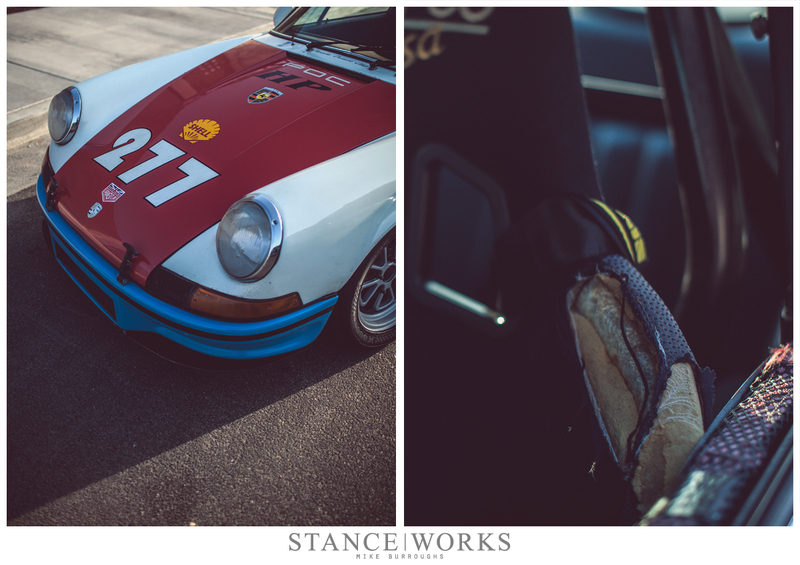 I had asked Magnus where his Porsche endeavors began - he's quick to tell you that the 277, the famous white, red, and blue '71 T he's become known for, is the second Porsche he's ever bought; however, I was curious about the first. For Magnus, it began in 1992, at Calfornia's famous Pomona Swap Meet. There, he found a slant-nose conversion car, one that he confesses had been a bit "Frankenstein'd" together, comprised of chopped up and changed body panels to make things work. It was part of a growing collection, which at the time, was made up largely of classic American muscle cars, and a few European collectibles. It wasn't until 7 years later in 1999 that Magnus bought his second P-Car, which he has held on to ever since. In comparison, as the slant-nose grew old and tired, Magnus was eager and willing to let it go, before it became problematic. 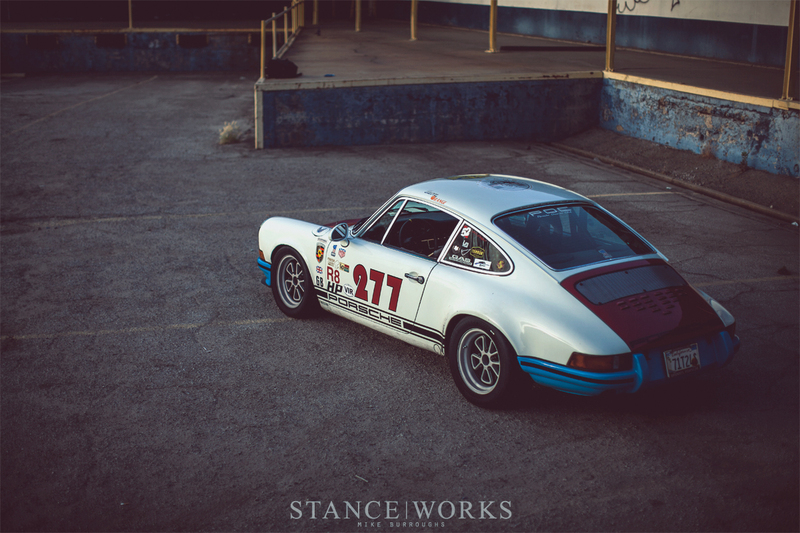 He talks of hunting the slant-nose down in hopes of reuniting himself with his first-ever Porsche, a brand that has since embraced him and his collection, giving that first car a bit of intrinsic value. However, the real value is in the car that didn't get away. The 277 has earned a special place not only amongst fans' and followers' hearts, but in Magnus's as well - his favorite of his constantly-growing collection. 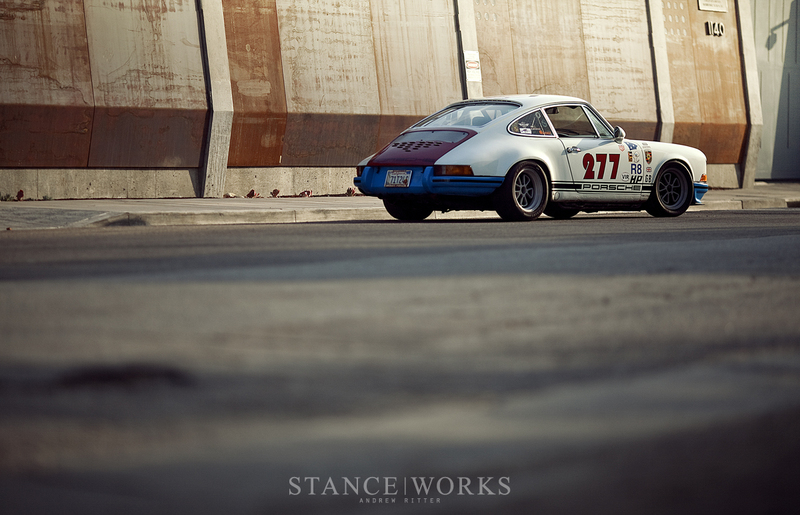 The purchase of the 277, which began life as a stock, white '71 T, took place once again at the Pomona Swap Meet. The car hardly resembles the way it looked when Magnus first purchased it, and the overall aesthetic and style has been the result of 15 years of constant use and evolution. The question I posed was perhaps obvious, but why did Magnus keep the 277 for all of these years? Recounting his highs and lows with the car, he refers to it as something akin to a favorite old pair of boots or jeans. "It's broken in," he says. That's reason enough to keep it now, but it hasn't always been the aged-to-perfection car it has come to be. Through his stories, it's clear that there's something a bit special about the car. 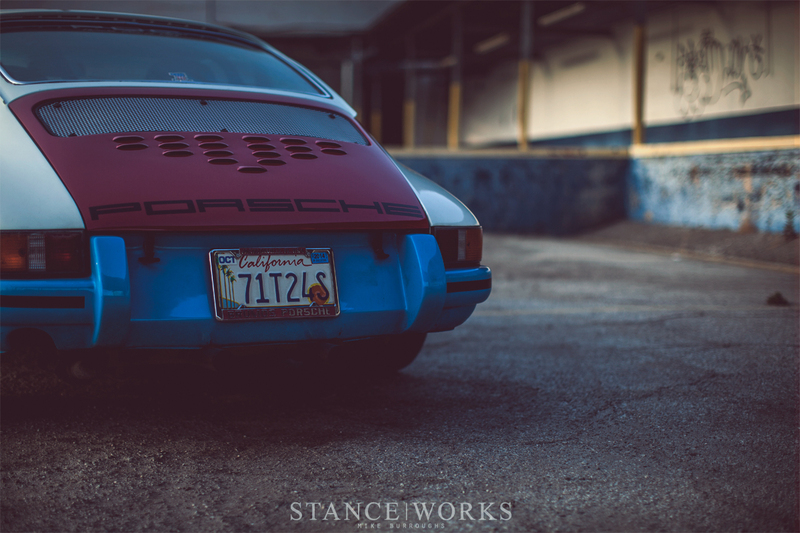 "I drive all of my Porsches, but I drive the 277 probably five times more than the rest." Magnus continues, "None of them drive the same; they're all different... and none of them drive like 277." The driving experience of the 277 is what Magnus refers to as a "flat foot" car. With just over 200 horsepower at his disposal, he's able to keep his foot in the throttle through most of the turns, back roads, and road courses he tackles - which he does with immense frequency - likely more than anyone I've ever known. He knows Angeles Crest Highway better than I know my own mother, and that's only topped by his affinity for Willow Springs Raceway. 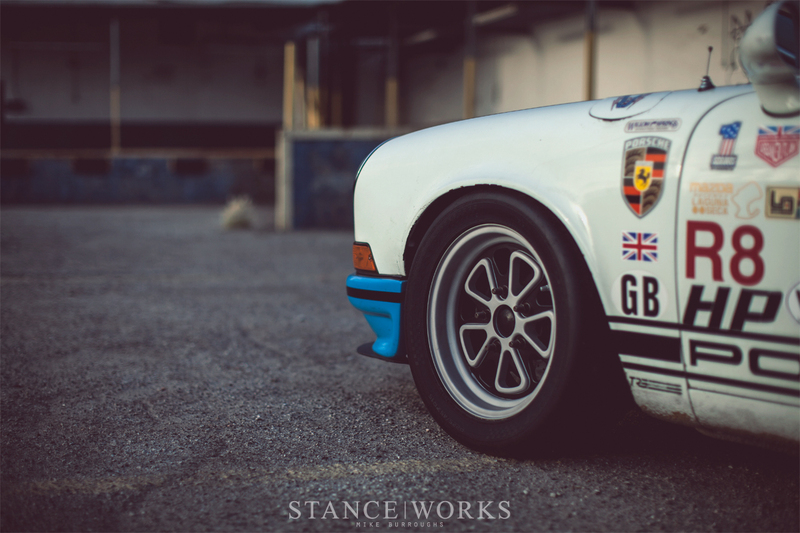 Magnus takes pride in the fact that the 277 finds the ultimate balance between street and track car as it drives itself to and from nearly every event it has attended. At their high point, Magnus and the 277 were attending nearly 50 track days a year, with somewhere near 300 total under his belt. The car has evolved, slowly but steadily, since it came into Magnus's possession. "It's been a test mule for engine swaps. As one grows tired, and leaks more than I feel it should be leaking, it's time for another." Through the years, Magnus has gone through a 2.4, 2.7, 2.5, and now a 2.6 - each one from an ex track or race car. "I've never felt the need to rebuild a motor, and I don't need 400 horsepower either." 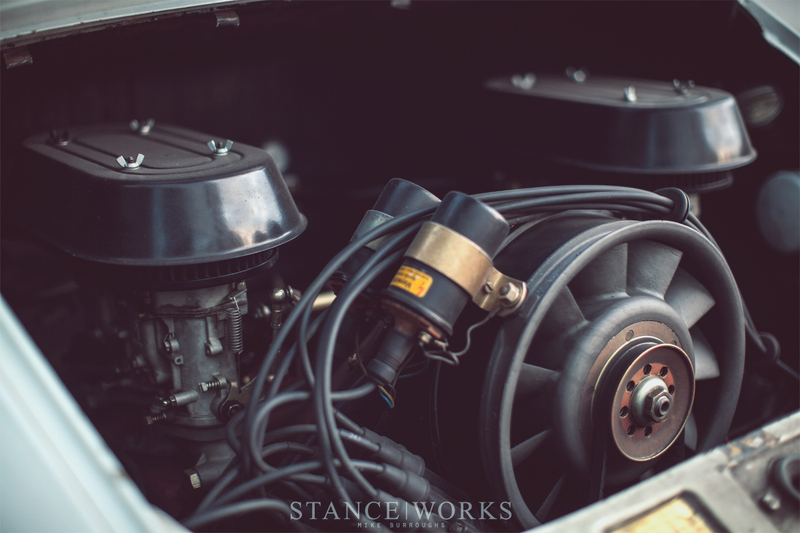 The costs involved with bringing a flat six back to life is a serious one, and with the Porsche market on the climb, old track cars are constantly being returned to stock, leaving a market of broken-in track motors ready and willing as the 277 chews them up and spits them out. The 277 truly is Magnus's only track-type build. 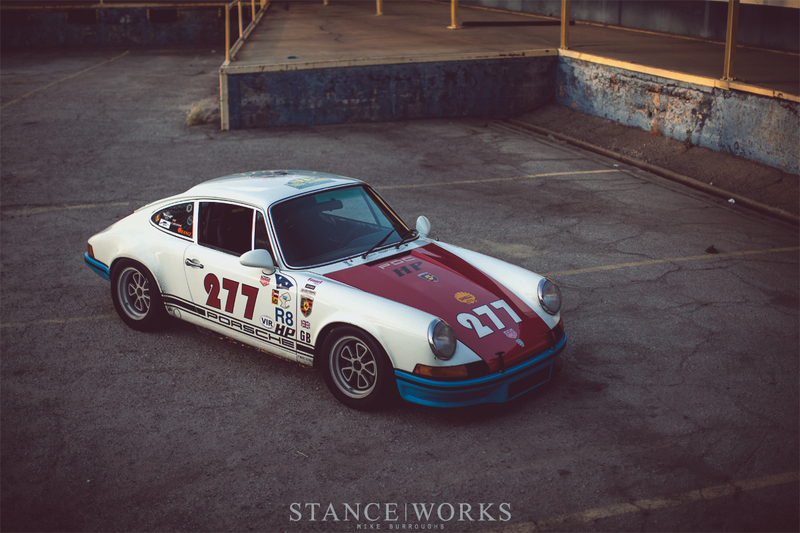 "I've only ever needed one track car, and the 277 is perfect for that." In all, there's a lot that separates the car from its stablemates. While the 277 has received many of the aspects Magnus is known for, ranging from his unique Brumos-inspired colorway, to the RS arches, and his new 52 Outlaw wheels, the car hasn't received the knick-knacks. There's no drilled door handles, no through-the-hood gas filler neck, and many of the other intricacies that have made some of Magnus's other cars famous, such as the STR II, which sold for more than $300,000 a year ago. The 277 is all about simplicity. 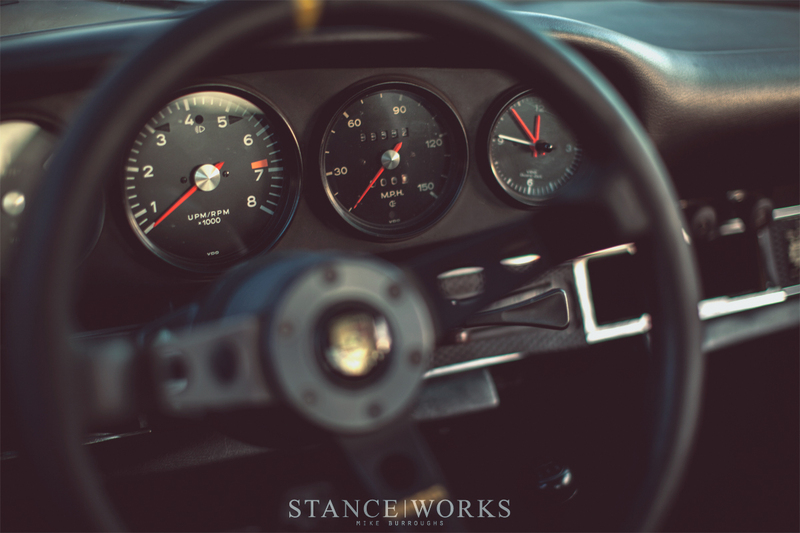 From it's low power output to its light weight, the goal of the car is both minimalism and utilitarianism, both of which fit, in many ways, with Porsche's racing ethos. 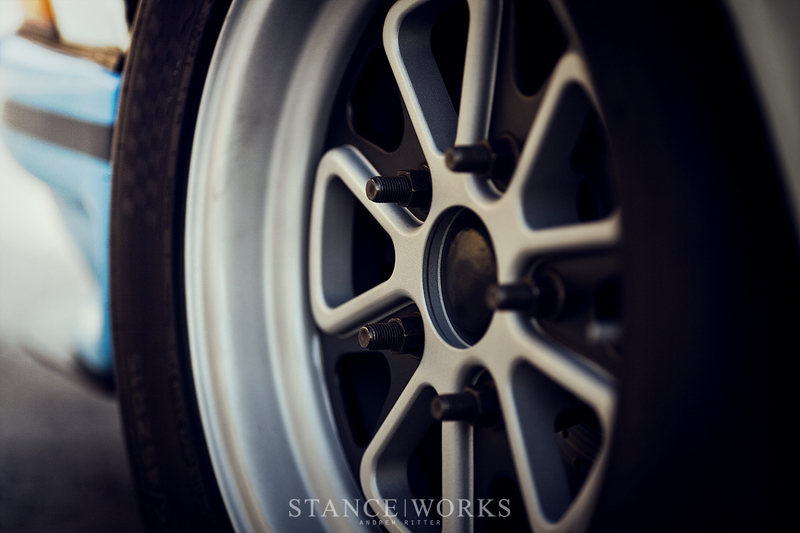 Underneath the car, Magnus has fitted 23mm and 30mm torsion bars, sway bars, spring plates, and raised spindles, as well as SC front brakes and a bolt-in roll bar. Together, they make for a wonderfully capable car, but at this point, the setup is nearly 12 years old, and relatively low-tech. Magnus considers the car a "budget build" despite the money he's thrown at it over 15 years - it's a no frills, unrestored canyon carver, built only as it was needed. He's adamant that there's no "whammy" parts on the car - no high-dollar high-performance gizmos, no fancy polybronze bushings - it's all basic parts for a grassroots "momentum" style driver. Despite their own successes, 277's stablemates pale in comparison when it comes to fame. 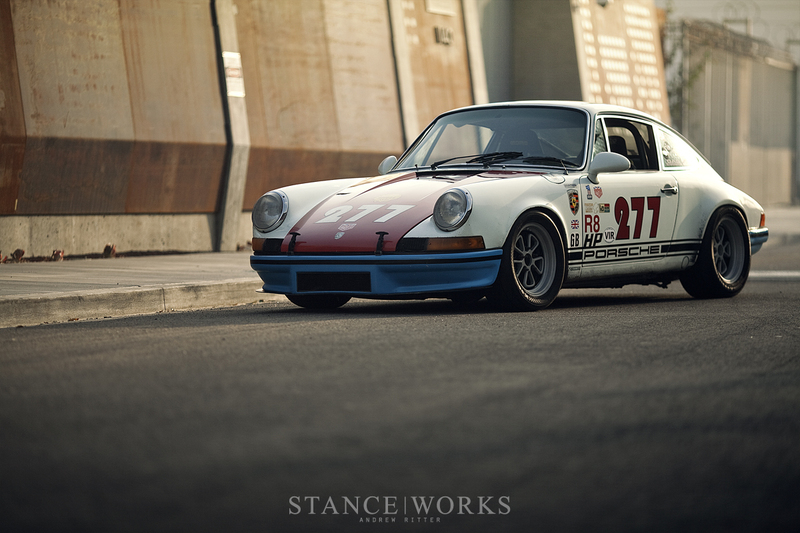 With an impressive following, and eager buyers waiting for another Magnus Walker/Urban Outlaw build to hit the auction block, I was curious as to whether he'd build another car like 277 - or perhaps will the 277 itself ever go up for sale? Or will Magnus fanatics have to wait for the sale of his estate? Magnus put it simply: "I don't foresee selling the car." As for whether or not there will be another one, he tells me "...time will tell if I'll build another car like 277." Magnus knows the power and potential behind another car like his, but he followed with sentimentals: "this car contains sweat stains and coffee stains and blood stains, and you just can't duplicate that." "Some cars go, and others stay," Magnus says. It's clear that 277 is going to be around for some time. As for what is to come of 277, Magnus tells me that it's more or less just what it should be. "The car is about the freedom of the drive on the open road." It sounds as though we'll be eagerly waiting to see what Magnus decides to build next. 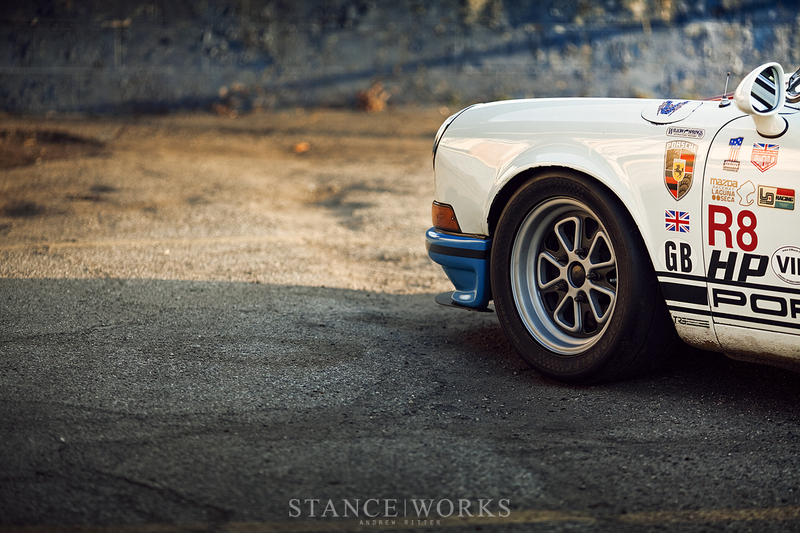 Why is everybody so freakin out because of Magnus Walker? I mean, ok, some of his ideas are great, for example that vent slots on the engine bonnet. 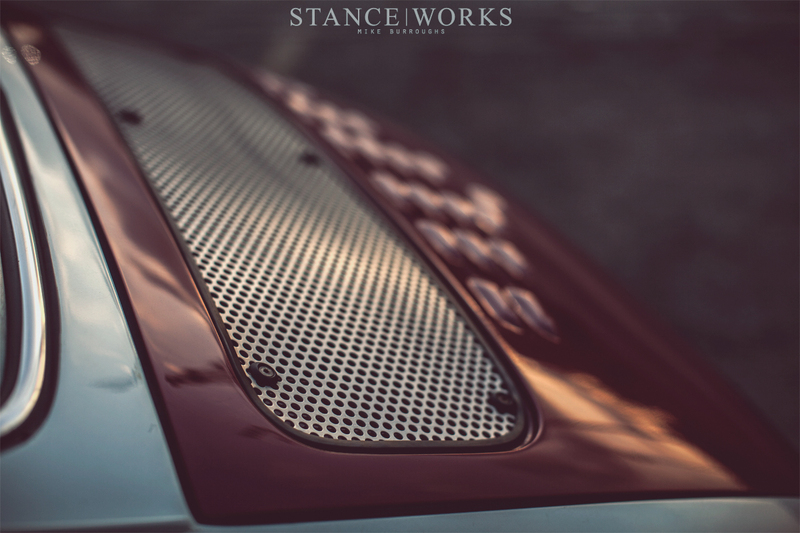 But at the same time, the bonnet is ruined by that awful, ridiculously cheap and awkwardly looking ventilation grille. Looks like it was bought for 10$ on ebay. I just cant see why the car as a whole should be any kind of special or unique, to me it looks barely like a car that was built by someone who’s into shoddy work. The different colors and stickers just make me feel like this is some kind of a budget build which needed to be finished very fast. 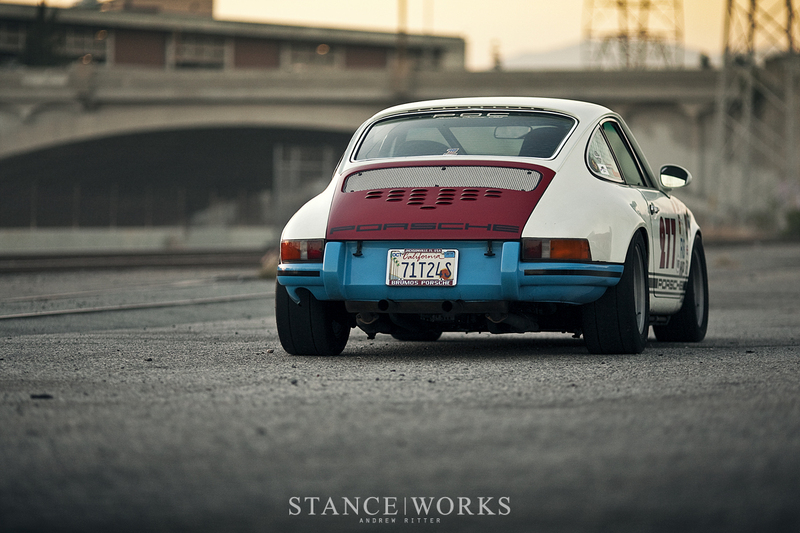 Just like Magnus’ super special tail lights for the 911… they might be unique, but just because they simply look totally creepy and ruin the sweet classic look of a 911. Not that I’m one of those “keep it original” guys, I just don’t feel the looks and styles of Magnus cars. 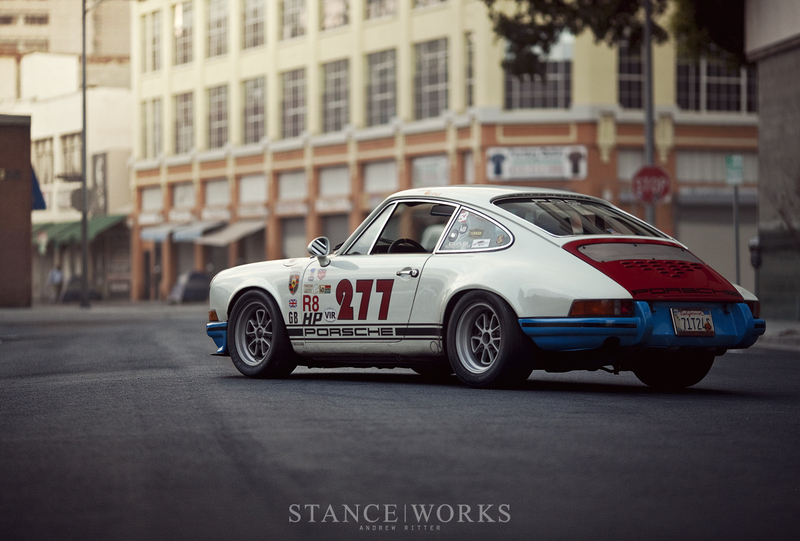 I believe his fame is caused by his personality, looks and collection of cars rather than by his builds. And, of course, his passion. @Finnegan Yeh man. Some of his life story is pretty cool, but there are way more technically interesting or well designed Porsches out there. Magnus is just getting to be old news. @Finnegan I think, perhaps, you answered your own question without even knowing it. While some people may choose a different route for the colors and the stickers, those are things that are simply based on each person’s own taste. Magnus has received the attention that he has because of that passion and identity that you mentioned at the end. Regardless of each individual’s personal taste, everyone can relate to the love that he has for his cars. 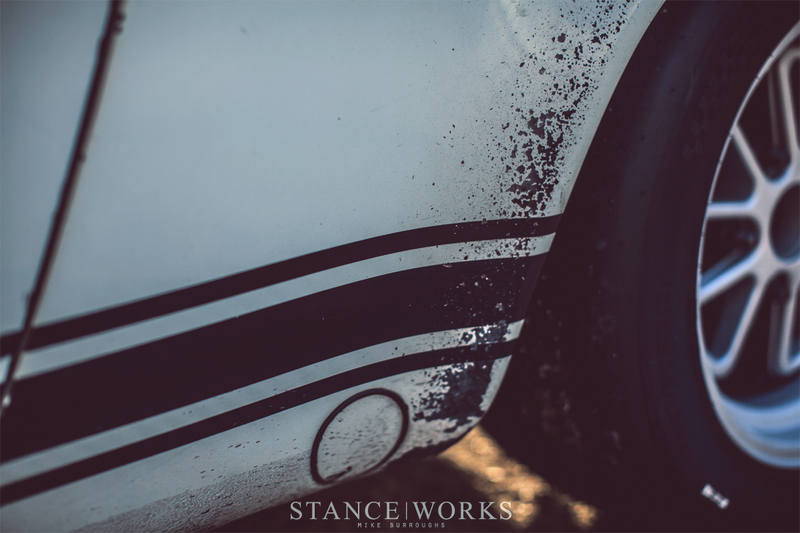 Sometimes it’s not always about building the most technical and in depth car…sometimes it’s the owner and their enthusiasm for their car that inspires others. Whether you like his taillights and styling choices or not, there’s no denying that Magnus is really putting his heart and own personal touch into every car he puts together…and I think that’s where his strength is.